An interest in birds—like the one we all share—might, quite naturally be expected to lead to a similar curiosity about their feathers. It certainly did for me. When discussing birds with other enthusiasts it is often of benefit to reference feather types as you relate stories and observations. 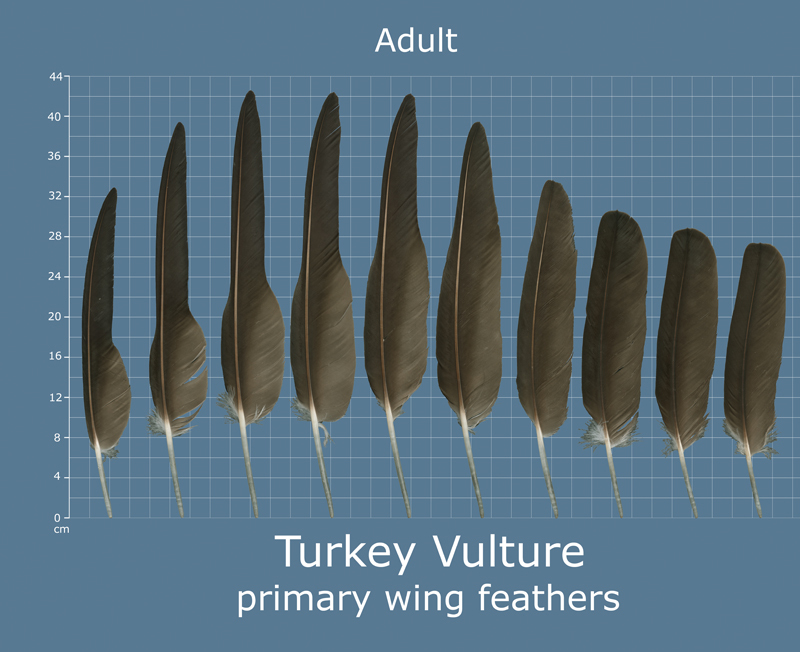 Understanding feathers and their arrangement and coloration can be invaluable when attempting to make a challenging identification. It’s important to know about feathers. Feathers are made from a protein called keratin. Lightweight and strong, keratin in feathers is similar to that of finger and toe nails on a person. There are two basic types of feathers—vaned feathers, and down feathers. Vaned feathers (also called pennaceous feathers) growth from tracks and cover the exterior of a bird’s body. Down feathers form underneath the pennaceous, and provide for temperature regulation via their excellent thermal insulation properties. Feathers are interesting and intricate structures that come in many different shapes and sizes. Some feathers are used for decoration, some for warmth or waterproofing, and others are meant for flight. Learning about them all can be a bit of a challenge. 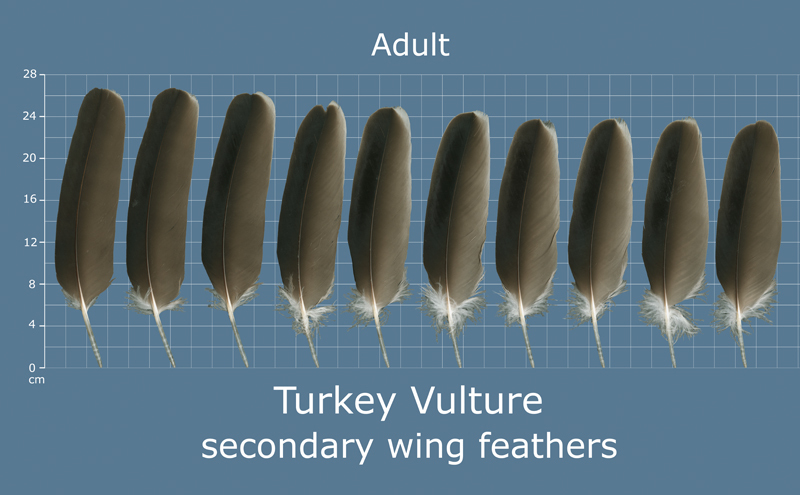 In this article we will take a closer look at those feathers used for flight—feathers that are located on the wings and tail of flighted birds. We will provide their names and identify their locations on the bird. We will talk about their shape and function and how they are maintained. 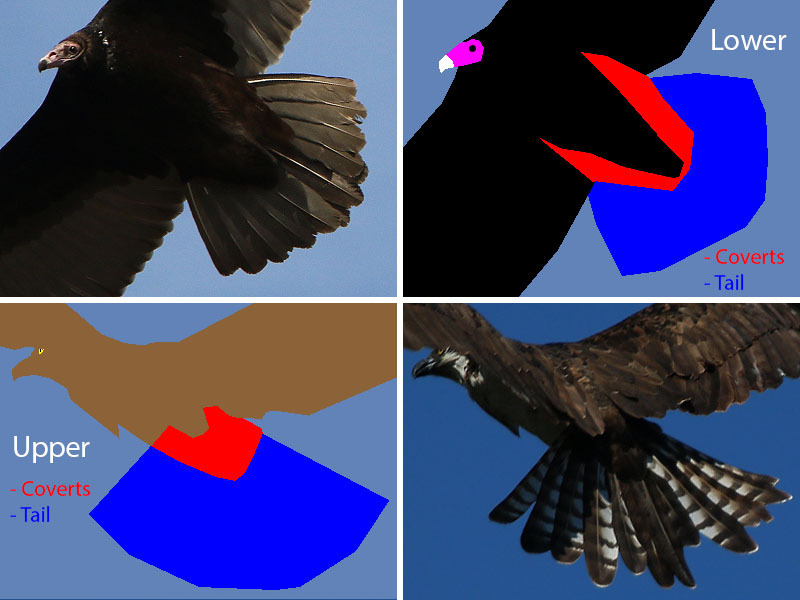 Helping to illustrate these concepts will be our good friend the ever-lovable, and not-repulsive-at-all Turkey Vulture. His buddies the Osprey, Red-tailed Hawk, Ruby-crowned Kinglet, and Mallard will also lend a hand. Flight feathers are asymmetrical in shape. For aerodynamic reasons, the leading edge of these feathers tends to be narrower than the trailing edge. The shape of the feather can vary along its lengths as well, with an abrupt widening moving from the tip to the base. For similar reasons, these feathers also have shafts that often curve away from the leading edge or direction of travel. These feathers attach directly to wing bones in order to provide the structural integrity required for flight. Flight feathers on the wing are known as Remiges. These feathers are located along the trailing edge of the wing, and are used for control, creating lift and propulsion. 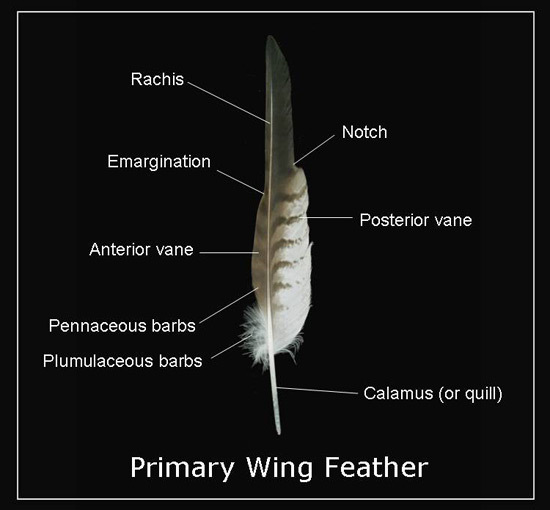 There are three types of flight feathers on the wing— the primaries, the secondaries, and the tertials. The nine or ten feathers at the end of the wing are the large and distinctively tapered primaries. These feathers attached to the fused bones analogous to the bird’s hand. The next set of remiges are the secondaries. There can be anywhere from nine to twenty-five of these feathers attached to the ulna depending on the species of bird. 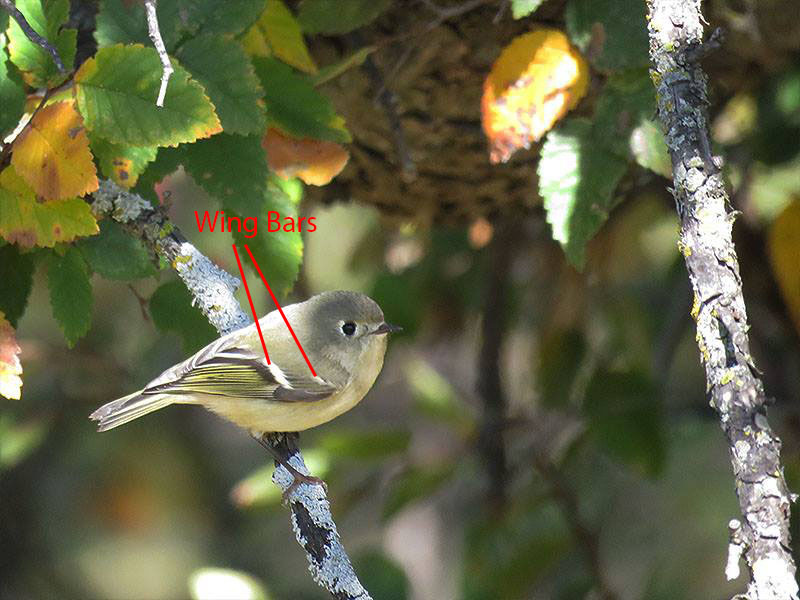 Finally there are three or four tertials where the wing meets the body. 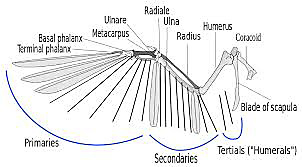 The tertials attach to the humerus. The attachment points of the flight feathers are covered by a group of feathers known collectively as the coverts. These feathers form a series of distinct and overlapping rows along the wing surface that aid in streamlining. Beginning at the leading edge of the wing and moving toward the trailing edge the rows are named as follows: lesser coverts, median coverts, and greater coverts. 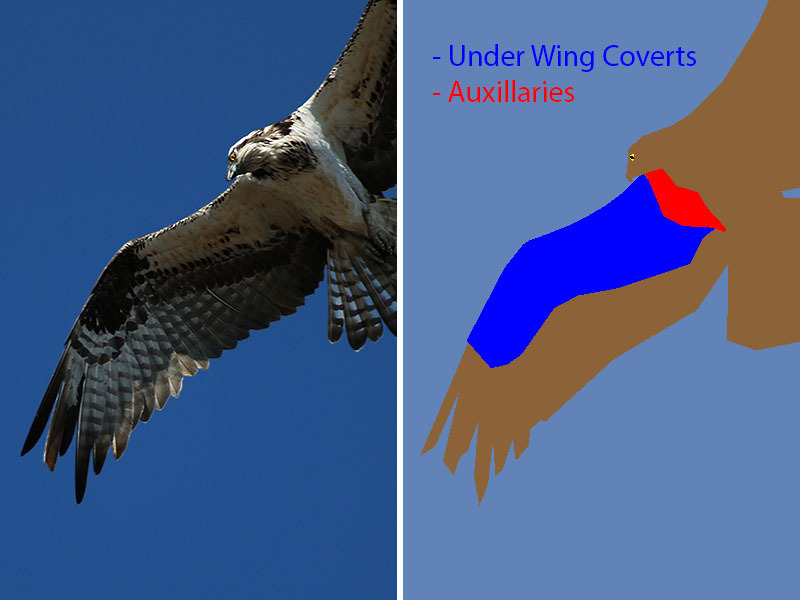 The under-wing coverts follow a similar pattern. White tips on the median and greater coverts form the distinctive wing bars seen on some species. 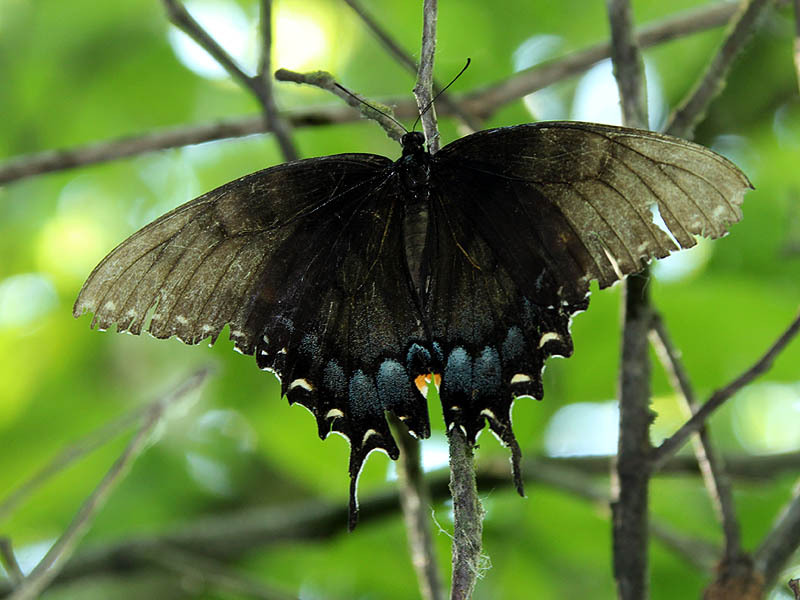 At the base of the wing there is a specialized group of feathers know as the scapulars. On some, long-winged birds there is a discernible second row of these feathers called the humerals. On the bottom side of the wing, a similar group of feathers is called the auxillaries. The stretch of tissue running along the leading edge of the wing between the shoulder and wrist is known as the patagium. 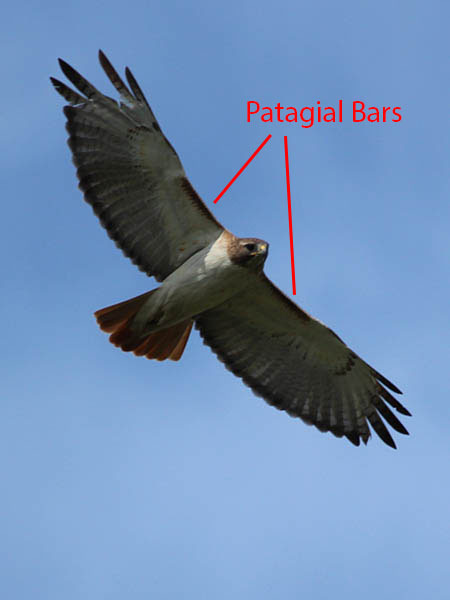 On some species of bird this part of the wing can have distinctive coloration, called patagial bars, that can aid in bird identification. In some species of duck the secondary feather are colored in a uniquely and vividly different way than other feathers on the wing. 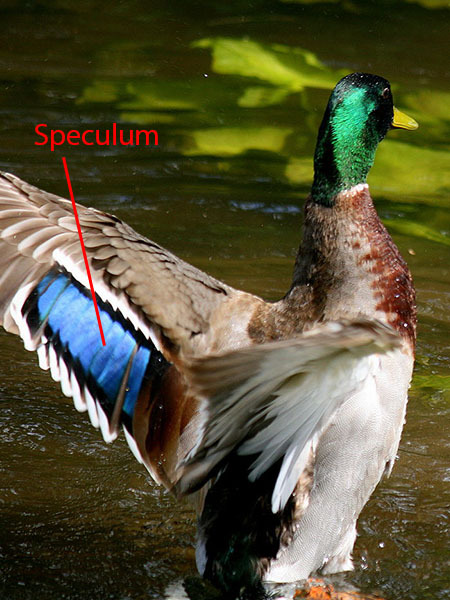 In these cases, the coloration formed by the secondaries is known as a speculum. Tail feathers are known collectively as Rectrices. These feathers are used as control surfaces and aid the bird when maneuvering. 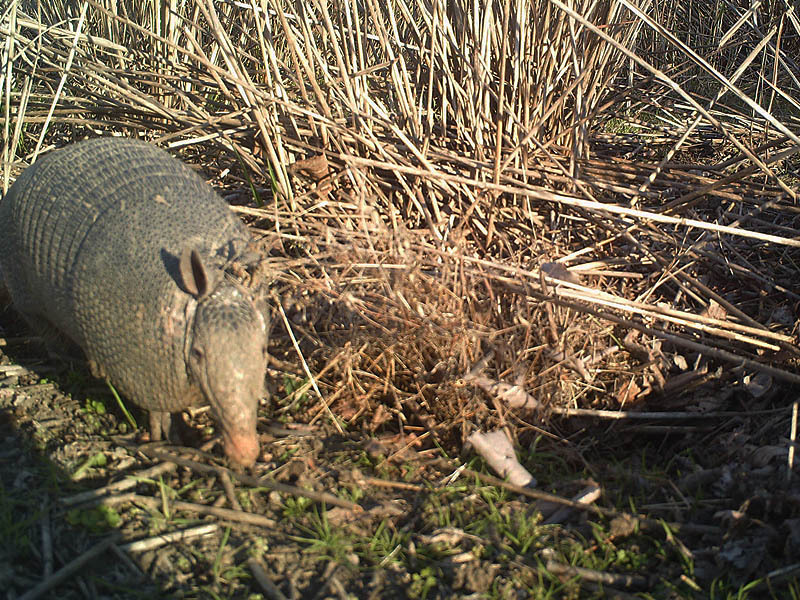 Rectrices become more asymmetrical as you move away from the center and toward the outside edges of the tail. The attachment points of the tail feathers are covered with upper-tail and lower-tail coverts respectively. There is much variation in tail shape among the different species of birds. 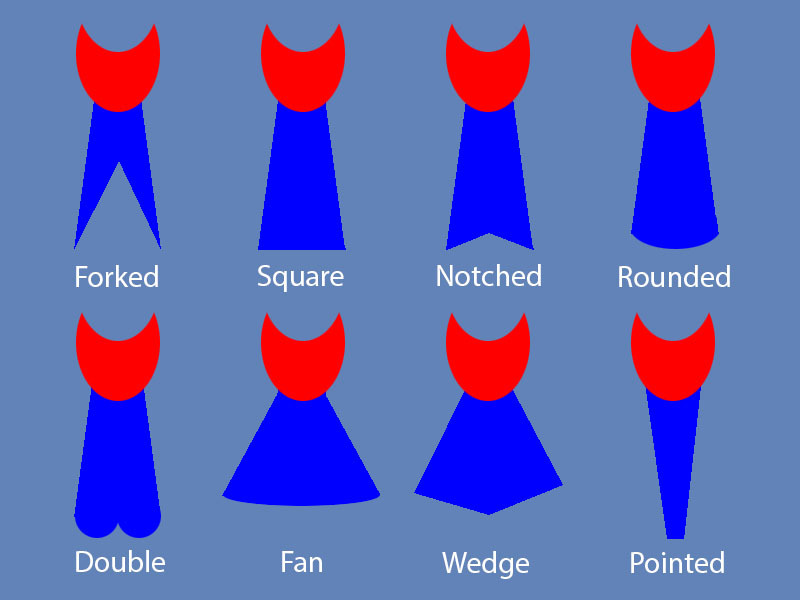 Typical examples include the forked tail, the square tail, the notched tail, the rounded tail, the double rounded tail, the fan-shaped tail, the wedge tail, and the pointed tail. While we are talking about Mr. Turkey Vulture and his wings, let’s take a quick aside to discuss the way he holds his wings while in flight. Turkey Vultures rarely flap their wings, instead these birds soar on rising thermals like a glider or sailplane. 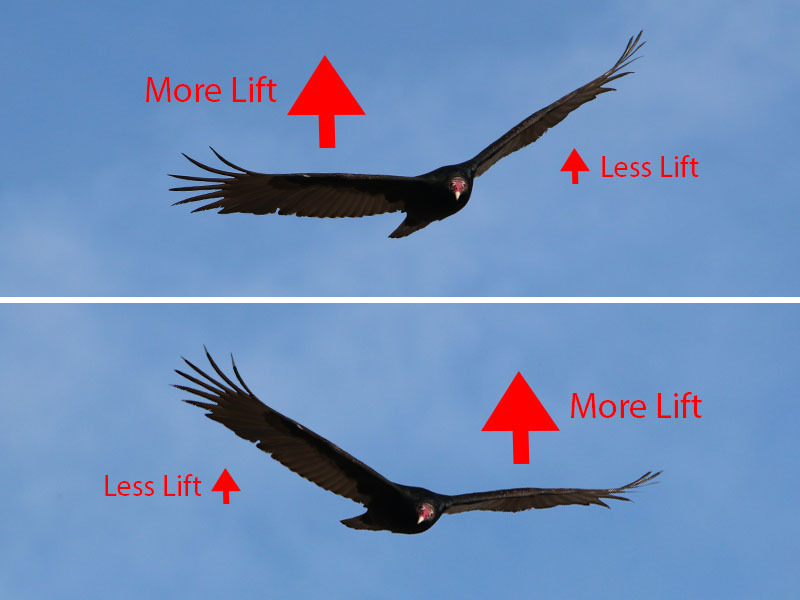 In this mode of flight Turkey Vultures hold their wing in a slight dihedral—a shallow v-shape. This wing position is advantageous because of the roll stability provides. One wing will tend to be more parallel to the ground and in this position it will generate more lift than the opposing wing. Resistance to further roll occurs as a wing reaches the parallel position. The result is a slight rocking from side to side that occurs when when the opposing wing begins to generate more and unbalanced lift. 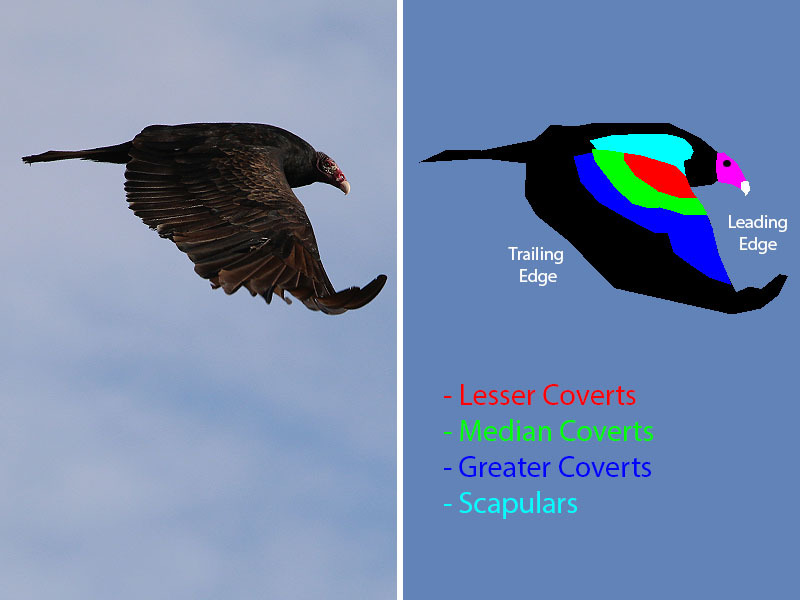 This gentle teetering is a distinctive characteristic of the Turkey Vulture in flight. 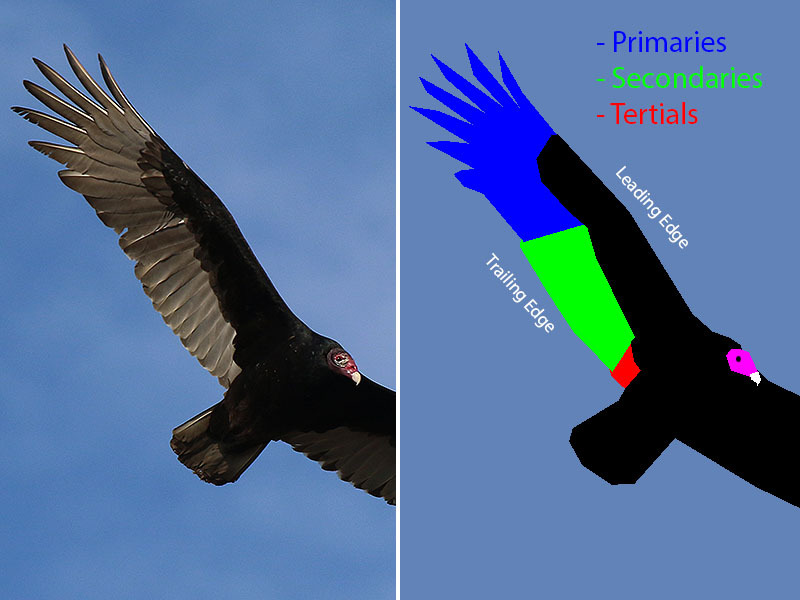 Diheral Wing Positioning on a Turkey Vulture. 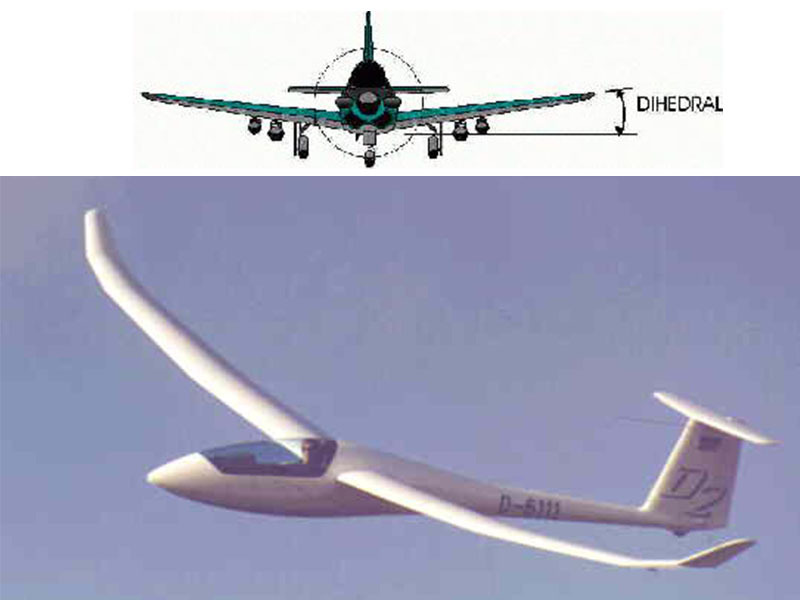 The Dihedral is frequently used in Aeronautical Engineering. Birds maintain the condition of their feathers by preening and bathing, but because feathers are non-living structures they cannot be repaired if damaged. The only option for worn feathers is a regularly scheduled replacement. This replacement process is know as molting. As you can probably imagine, keeping flight feathers in good serviceable condition is extremely important. Flight feathers must stay in tiptop shape in order to perform optimally. Feathers wear out and must be replaced at regular intervals. 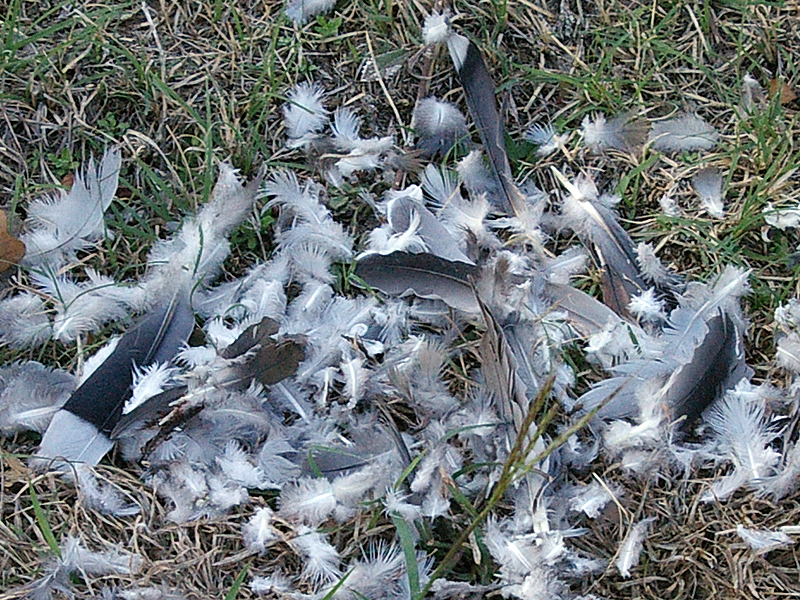 The frequency of molting depends largely on the habits of a particular species of bird and the likelihood those behaviors will lead to feather damage. Typically birds will molt once or twice a year. Molting also occurs for breeding purpose, and many birds develop a more flamboyant plumage during the mating season. They then lose this plumage during a second molt soon after the breeding season concludes. 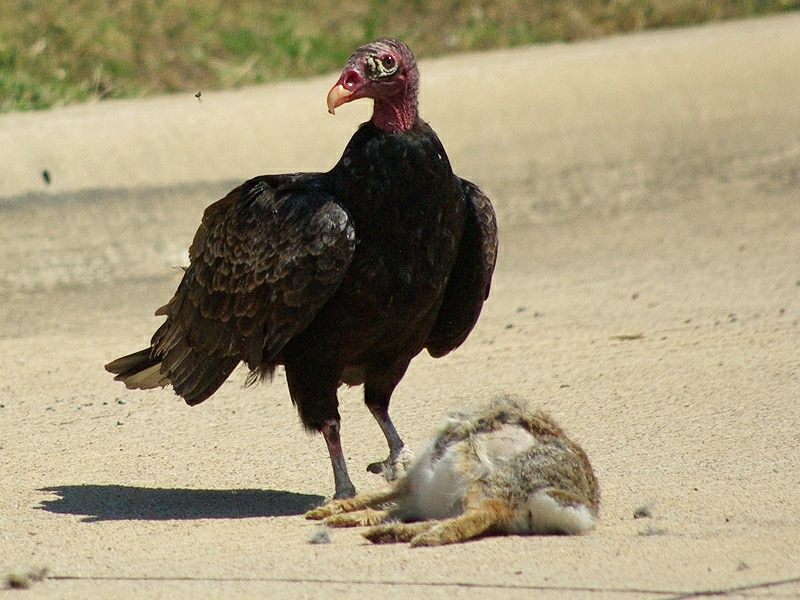 Molting is a necessary, but costly and energy intensive process. Dropping and then regrowing feathers feathers requires resources. The process for a full molt can take anywhere from weeks to months to complete. Most birds molt their flight feather in a particularly well-ordered sequence so to minimize the impact on their ability to fly. This is called a Sequential Molt. Another, more drastic strategy used by many waterfowl is called a Simultaneous Wing Molt. With this type of molt, the bird loses all of its primary feathers over a short period of time, and becomes temporarily flightless as a result. Ducks and geese are able to survive this period of flightlessness because the wetland habitats they frequent offer abundant food resources and the safety of the water when danger threatens. 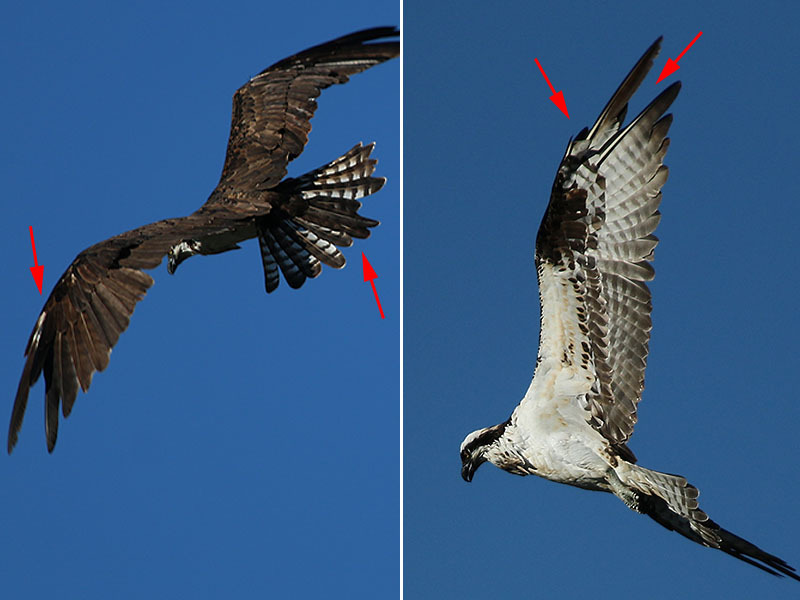 The arrows in the illustration above show points of feather regrowth occurring during the molting process. Supremely informative, Chris. Great post. I am so proud of that number, Sam. These milestones are coming faster and faster now. What a great resource we have build for ourselves over the last couple of years. Really fantastic I think.